Who do we love? YOU, our customers! 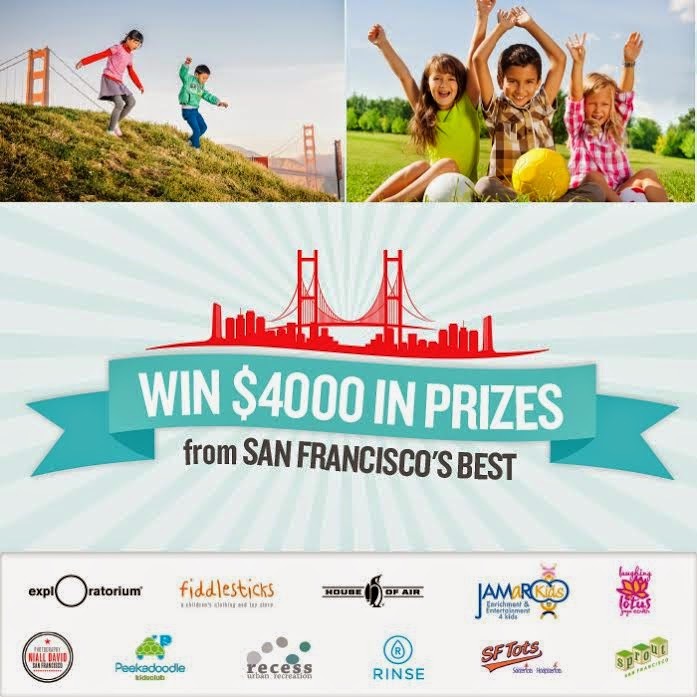 To show our appreciation, we've teamed up with Red Tricycle SF and twelve local, kid-friendly businesses to bring you a stellar Summer Giveaway. From photo shoots to party packages to that oh-so-shiny, oh-so-tempting Fiddlesticks gift card, there's a whopping $4,000 in prizes up for grabs. The best part? Red Tricycle totally gets you and your whirlwind-busy days, and contest entry takes no more than five seconds (three, if you type really fast). Head here to enter your name and your top-pick prize: that's it! Fingers crossed that we'll be seeing YOU soon when you come in to stock up on birthday gifts / cross off all that baby shower shopping / beat the the back-to-school rush / spoil your favorite little kiddo -- all with a $250 Fiddlesticks gift card in hand.